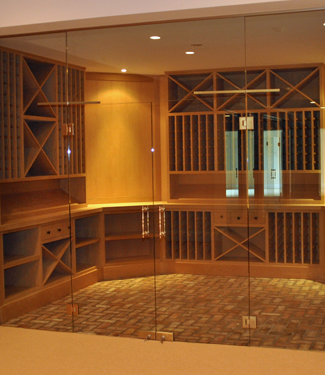 We are a full-service, custom design glass retailer for residential and commercial customers. 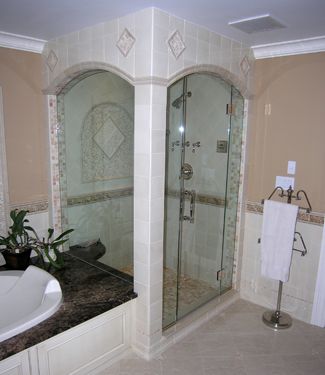 We are exclusive providers of the Ultra Frameless Shower door enclosures in Fairfield County, Connecticut and Westchester County, New York. Founded in 1974, Ridgefield Glass offers modern applications for shower and bath enclosures, mirrors, insulated glass units, glass counter tops and commercial glass. Our goal is for our customers to be completely satisfied from installation to the finished product. We pride ourselves on providing honest and timely service, and premium quality products, all at the most competitive prices available. We do all our own on-site installation. All work comes with a warranty. Our expertise includes: Frameless Shower Doors, Beveled Glass & Mirrors, Antique Glass, Replacement Windows, Insulated Glass, Storm Doors, Patio Sliders, Architectural Glass, Specialty Glass Enclosures and Commercial Buildings. We offer a rich choice and wide selection of glass styles, colors, and hardware finishes. Please visit our conveniently located showroom in Ridgefield, CT or email us for more information. 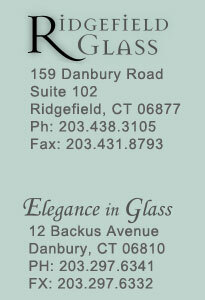 Ridgefield Glass: Ultra Frameless Shower Door Enclosures, Glass Bath Enclosures, Beveled Glass & Mirrors, Antique Glass, Replacement Windows, Insulated Glass, Storm Doors, Patio Sliders, Architectural Glass and Specialty Glass Enclosures, Glass Wine Rooms, Switch Glass, Privacy Glass, Glass Counter Tops, and Glass Back Splashes. Showrooms in Ridgefield, CT and Danbury, CT. Serving Fairfield County, Connecticut, Westchester County, NY and the general Tri-State area.